Our special getaway place - Door County, Wisconsin - is only a few hours drive away. With every visit, I grow to love it more and more. Maybe it's because it's where my husband and I had our initial deep discussions about getting married while we were dating. Maybe it's because it's where we had a special family vacation last year. Maybe it's because cherries are so proudly used in anything and everything. Whatever the reason, it has a special place in my heart. 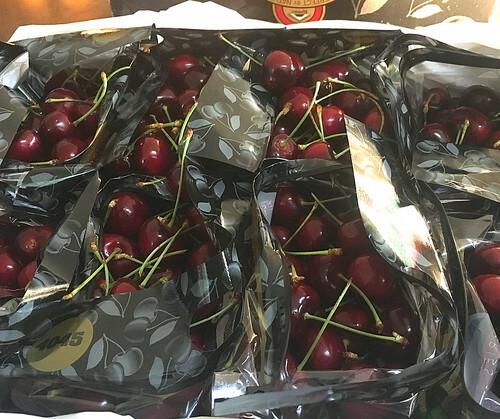 When my friends at Northwest Cherry Growers recently sent me several pounds of fresh Washington Cherries, I immediately thought of Door County. 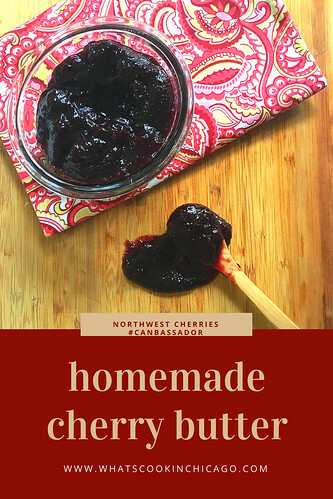 On my list to make for awhile was homemade cherry butter. Now seemed the perfect time! Please note that the recipe below yields a small amount (3-4 cups) for the amount of cherries pitted. I would recommend doubling the recipe and if you're thinking ahead, these make a delicious gift for the holidays! This is small batch canning - the recipe yields just a few small jars of cherry butter. I suggest doubling the recipe below. Wash four jam jars and their lids in hot soapy water and rinse well. Place the cherries and 1 1/2 cups in a large pot. Set over medium-high heat and bring to a boil, stirring occasionally. Reduce the heat so that the mixture simmers and let the mixture cook for 1 hour, stirring every 15 minutes or so. After an hour, the mixture will be reduced and a deep wine color. Take off the heat and puree thoroughly with an immersion blender (be careful not to burn yourself as it may splatter). When the mixture is smooth, taste for sweetness. Add some of te reserved sugar if needed and stir well; then stir in the lemon juice. Return the pot to the stove and place over medium heat. The cherry butter will start sputtering pretty quickly. Let it cook for another minute or so, until the butter is thick and spreadable (remember that it will thicken and set more as it cools). 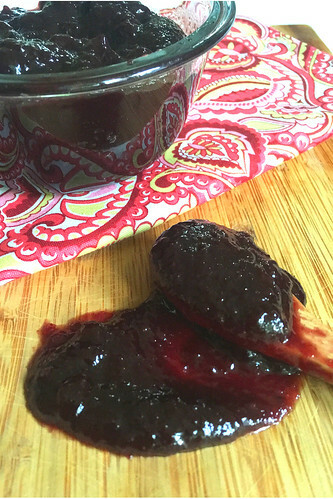 Ladle the boiling hot cherry butter into the prepared jars, filling them up as far as you can. Wipe the rims, screw on the lids and turn the jars upside down to cool completely. The jam will keep, unopened, for at least 6 months.